Fairfax Animal Hospital has been busy enhancing our services to help our pet parents take better care of their four legged family members. Check out what is coming soon! NEW this fall! We will be launching a Pet Care Rewards Program in October. This program helps our clients save money on the costs of veterinary care or boarding. 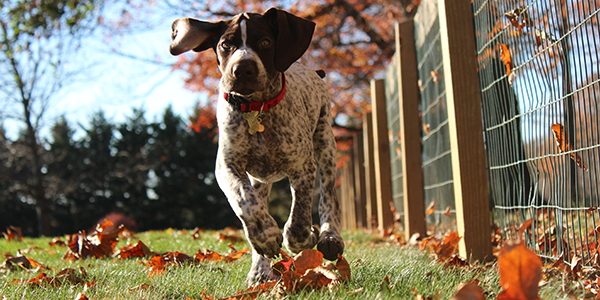 This Fall’s Instant Rebate: Heartworm Protection! Preventing heartworm disease and intestinal parasite infection is extremely important for the health of your pet and the family. The doctors at FAH recommend dogs take Interceptor Plus every month to keep them parasite free. When you purchase a 12 month supply of Interceptor Plus, we offer an instant rebate of $15. WOW! Learn more about heartworm disease in dogs and cats. Don’t forget to help us celebrate Halloween! Our Pet Costume Contest is live on our Facebook page. Post a picture by 10/31 and our team will vote on the top 3 pet costumes. Prizes will be awarded for 1st, 2nd and 3rd place. Holiday Boarding – Limited Availability, Book Today! To help schedule and prepare for your pet’s stay please visit our online care instructions form. We know you have many options for veterinary care and our team truly appreciates those who provide us feedback and tell their friends. If you are happy with our team and the service we provide, we would love to hear from you. Please consider reviewing us on Google or Yelp so others can see what it’s like to be a client at FAH.